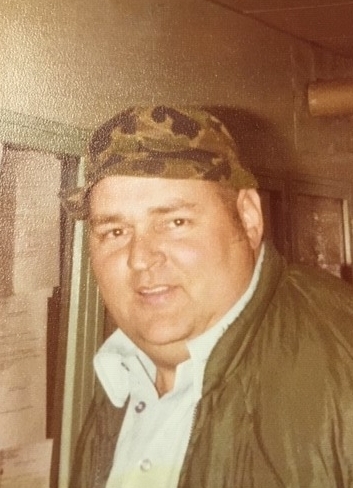 James K. “Mac” McKenzie, Jr, 77, passed away on Friday, February 8, 2019, at Ruby Memorial Hospital in Morgantown, WV. Born on July 29, 1941, in Frostburg, he was the son of the late James K. (Mac), Sr, and Marilyn (Evans) McKenzie. In addition to his parents, he was preceded in death by brother, John Mark McKenzie and great granddaughter, Lamarah Mae Jones. Mac retired as a remote control engineer at CSX Railroad. He was a member of Welsh Baptist Church, Piney Mountain Sportsmans Club and the Mountain Top Sportsmans Club. He was an avid hunter and fisherman having made many trips to Colorado and Maine. Surviving are his wife of 56 years, Earlene M. (McDonald) McKenzie; daughters, Peggy Crowe and husband Dennis, Brenda McKenzie and significant other Francisco Rodriguez. ; son, James K. “Jimmy” McKenzie III; grandchildren, Dennis Crowe, Jr, and wife Nichola, Thomas Crowe and wife Nicole, Christy Metts, Naomi Riggleman, Jeramiah Riggleman and fiancé Megan, Jadyn McKenzie and Evan McKenzie; sisters, Maureen Pugh and husband Norman, and Darlene Yates; numerous great grandchildren, nieces and nephews and cousins; and hunting and fishing buddies, Wayne, Ray, Brian, Herb, Robin, Merm and Johnny. Family and friends will be received at Durst Funeral Home, 57 Frost Ave, Frostburg, MD, on Thursday, February 14, 2019 from 2-4 and 7-9 pm. Funeral services will be conducted at the funeral home on Friday, February 15, 2019 at 11 am with Pastor Jim Jeffries officiating. In accordance with his wishes, Mr. McKenzie will be cremated following the service.